In todays Canberra Times there is an interesting article by Richard Denniss, Executive director of the Australia Institute on the real cost to society of poor road planning and the knee-jerk rejection of the concept of toll roads by the ACT Government. The article comes a few days after the ACT Government rejected Infrastructure Australia's recommendation that the proposed Majura Parkway be a toll road when constructed. 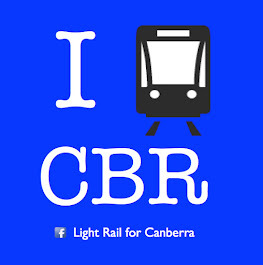 This idea was hastily rejected, because the ACT Government already knew Minister Albanese had approved the funding. Making Majura Parkway a toll road would be a good idea. It has received funding from the federal government because it is to be a major freight route, and it makes sense that the bulk of that freight will be going out of the Territory. Trucks using ACT roads but paying no registration, insurance or even GST on the fuel they use would be able to make their contribution to maintaining the road infrastructure by paying a toll. The article mainly focusses on the economic cost of roads, and places the opposition to toll roads in perspective by pointing out what we cant have due to there only being a limited pool of funding to draw from. "It is a rare driver who sees those new lanes and thinks that given the projected rate of population growth, freight growth and the lack of investment in public transport those enticing new lanes will soon be as congested as the one they are already in." "As we have seen recently in the ACT, politicians don't like telling a minority of aggrieved motorists that they are unlucky enough to live on the route that gets a tollway. It wouldn't be fair, we are told, for some people to pay a toll to get to work while others do not." "Just why a bus or light-rail ticket purchased by an ACT taxpayer should cover the cost of construction, operation and maintenance but the cost of a road trip should not is left unsaid." I urge you to buy todays paper and read the article in full.